Andrea enjoys talking with faculty about their teaching, combining her interest in proven educational practices and love of science to work with faculty in the sciences. She became motivated to help faculty through her own experiences teaching biology courses at several universities. Her current enthusiasms are active learning, inclusive teaching and how people learn. 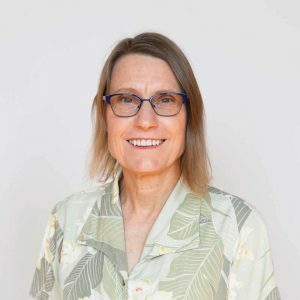 She enjoys reading science blogs (see some of her favorites collected at Scientific American, National Geographic, and PLoS), and being active outdoors; ask her about local hiking, bicycling, paddleboarding and kayaking, and her REEF trips. Before coming to Duke, Andrea taught General Biology, Zoology, Neurobiology and Physiology at Johnson C. Smith University, and conducted supplemental active learning sessions for biology students. She assisted other faculty to use technology in instruction and delivered courses to other universities via videoteleconferencing. She encouraged students to participate in summer research internships with a combination of workshops, classroom visits and one-on-one counseling. As a faculty member in biology at UMass Boston, Andrea taught a variety of neurobiology courses, investigated the neural and hormonal control of behavior in her laboratory, supervised undergraduate and graduate student researchers, and set up and funded an undergraduate neurobiology teaching laboratory. Andrea earned a PhD at UC Irvine and did postdoctoral research at the Marine Biomedical Institute at the University of Texas Medical Branch and at the Institute for Neuroscience at the University of Oregon. Her research papers have broadly focused on the neural and hormonal basis of behavior. How can the science of science education inform communication about science? With Sandra Porter, Digital World Biology. ScienceOnline2013 February 1, 2013. Nurturing TBL Across the Curriculum. 13th Annual Conference on Team-Based Learning March 1, 2013.